Many new doctors and established primary care physicians looking to relocate avoid setting up shop in rural areas. In fact, a study from the University of Missouri-Columbia found that only 10 percent of doctors practice in rural communities, and just 3 percent of medical students intend to do so. A rural physician can change community standards for the better. A study from Massachusetts General Hospital found that rural physicians can often make great strides in improving overall community wellness. 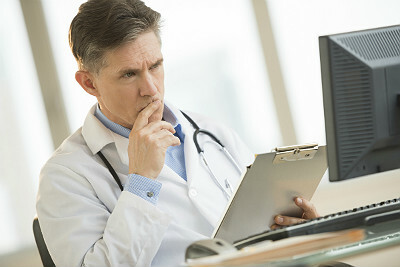 Rural physicians reported a willingness to commit to error-reducing initiatives, for example. They're also more willing to accept Medicaid patients, and treat the uninsured, therefore performing important and humane measures. Rural physicians suffer from less burnout. Research from NYU Langone Health/NYU School of Medicine found that only 13.5 percent doctors in small independent primary care practices (SIPS) reported symptoms of debilitating stress, as opposed to 54.4 percent of doctors in larger practices. This appears to be because SIPS physicians feel a greater sense of control over how they run their offices and are able to manage their schedules so they have a better work-life balance. Rural areas offer a more welcoming environment. The University of Missouri-Columbia study also reported that after a group of medical students attended an eight-week clinical program in a rural community, 72 percent were more interested in eventually establishing a small-town practice. The tight-knit fabric of a friendly community plus the chance to live in nature can powerfully sway a doctor's decision. Rural physicians can make a unique difference in critical situations. A Penn State study found that a group of rural PCPs in Pennsylvania offered life-saving response and support for patients suffering from intimate partner violence (IPV). A rural physician who takes the time to ask IPV screening questions can then assist patients in crisis by navigating them to outside psychological and medical resources, when those resources otherwise wouldn't be available in the area. Rural physicians can bring key knowledge to their patients. Because rural doctors often know their patients as neighbors, they can have a supportive, informal rapport. That makes it easier to talk in a persuasive way about medical lifestyle concerns — a patient who knows and trusts his doctor may feel more comfortable talking about a nagging smoking habit he'd like to kick. That personal connection can give patients better health outcomes as a whole — what more could a doctor hope for?